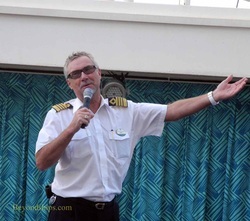 When people talk about Royal Caribbean captains, inevitably the name Captain Johnny comes up. Guests who have sailed with him often have personal stories about him. Almost everyone points out that he is the captain who has a Harley motorcycle aboard ship. In short, he has become a cruising legend. Of course, Captain Johnny has not just been along for the ride. His accomplishments include being the captain who brought all five Voyager-class ships into service. 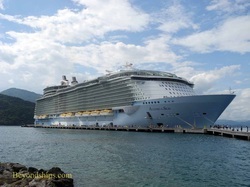 Now, he has command Allure of the Seas, the largest cruise ship in the world. 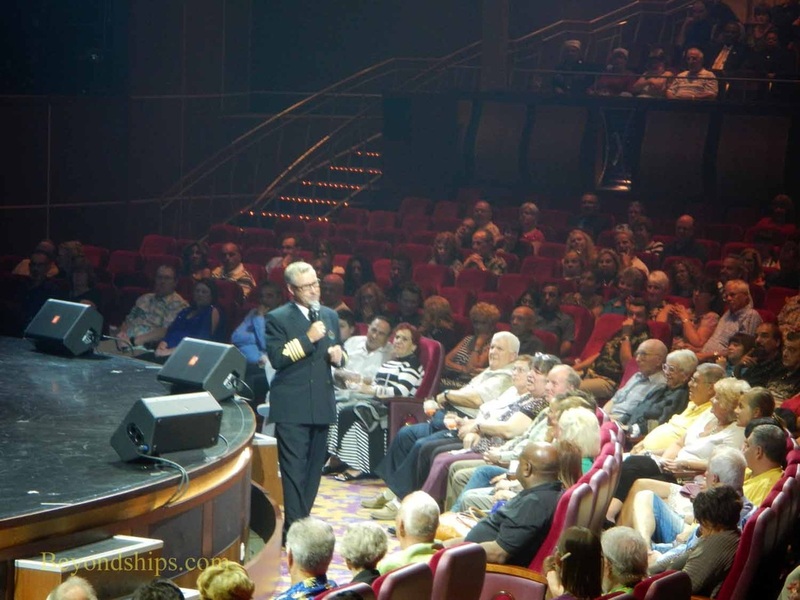 The initial idea was to make a short daily program similar in content to the noon time announcements made by captains on other cruise ships. However, this blossomed into creating a nautical channel on the in-cabin television system that also showed other related content.